This will lock the phone screen, so you can put the phone inside your pocket. This allows you to use a Bluetooth scanner to scan barcodes and listen to the audio cue without looking at the screen. 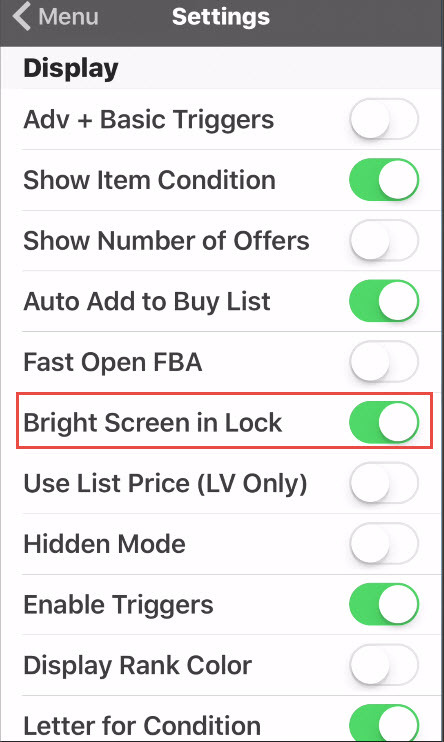 To keep the screen bright in lock mode, enable Menu -> Settings -> ‘Bright Screen in Lock’. 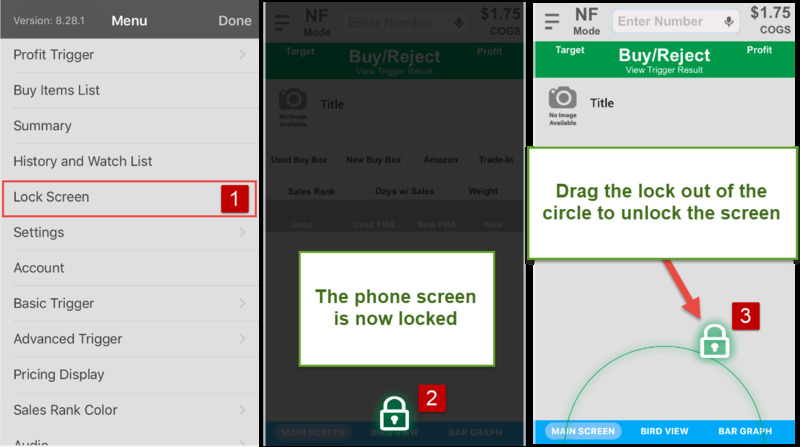 To unlock, tap and hold the ‘lock’ icon and drag it outside the circle.